Though it’s October (almost November) in the Pacific Northwest, my grandfather continues to cultivate the loveliest garden. Currently, his zinnias are in bloom and they’re splashed about the backyard like a wild watercoloring of summer. No rain or grey clouds can take away from their vibrant colored petals. Just like him, my mother also has a touch of the gardening witchcraft in her veins. She attempted to pass these skills down to me, but let’s just say I work best with wildflowers (aka, minimum workload) species. 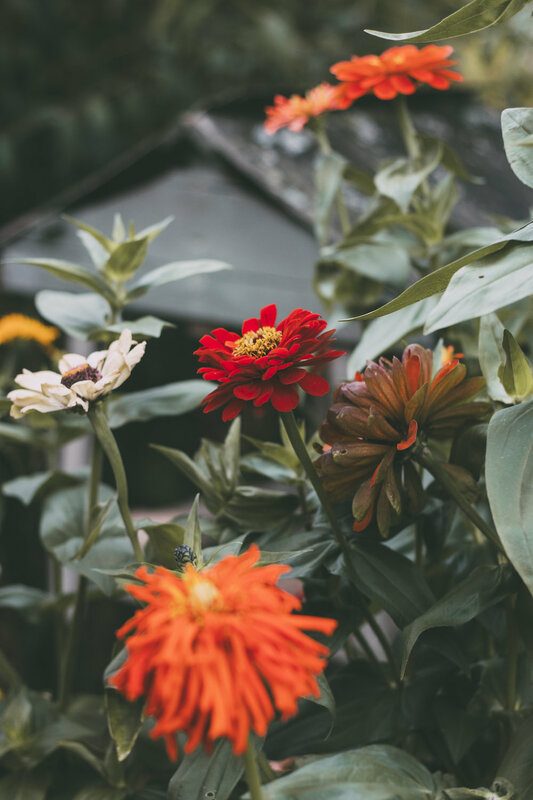 Zinnias are very similar to a wildflower in that they can completely seed themselves. Plant a packet from your local hardware store in the late months of spring and you’ll have an endless abundance of these painted lovelies for the entire stretch of summer and fall.